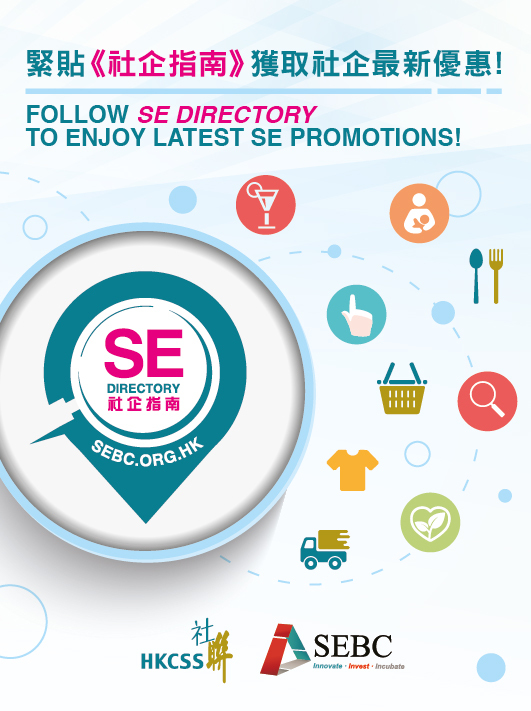 Social Enterprise Business Centre (SEBC) is a collaborative platform under the Hong Kong Council of Social Service (HKCSS) with a mission to support over 650 social enterprises and their beneficiaries. We initiate partnership among business sector, professional groups and social enterprises through a variety of collaborative projects; provide start up and scale up funding support to encourage social enterprise set up. We also advocate responsible consumption and social innovation by means of capacity building programs and public education campaigns.